Instead of sending a fighting force into space, let’s send planet Earth’s best and bravest to inspire us to be better people. This is an open letter to Hawaii’s senators and representatives in Congress: What kind of future do we want for the next generation? Shall we “boldly go” into the final frontier in the model of the “Star Trek” universe? The starship Enterprise’s diverse crew represents multiple nationalities, races, religions, cultures, and even species, all working together in scientific collaboration and peaceful exploration. Or will the U.S. choose the “global dominance” philosophy of the Star Wars empire? That future would be full of storm troopers, planet killing technology and the militarization of space. 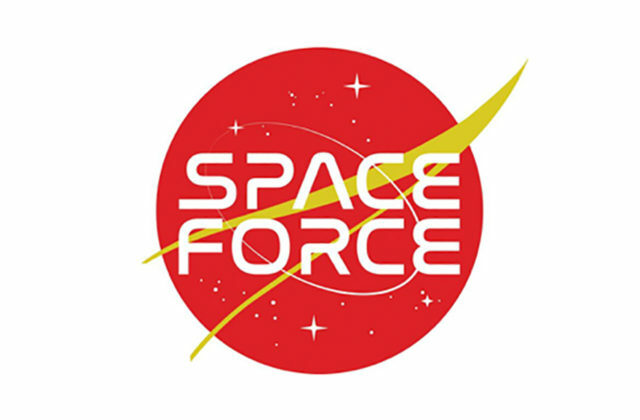 One of six logos created for Donald Trump’s proposed Space Force by the Trump Make America Great Again Committee. U.S. military leaders and astronauts are already questioning the need for a new, expensive Space Force. Wouldn’t it be better to spend billions of dollars upgrading our existing armed forces’ IT departments since our next war is more likely to be fought in CyberSpace instead of outer space? In fact, the U.S. space assets face a greater threat from ground-based technologies that can jam, blind and disable our vital communications satellites. Besides, the U.S. already has a Space Command that supports military satellites, rocket launches and cyberwarfare operations. As part of the Defense Department, Space Command is managed by the U.S. Strategic Command, which provides oversight of the country’s nuclear weapons, because long range, nuclear-tipped missiles fly through space. In July 2016, Space Command even announced creation of a Space Mission Force, which military leadership notes is akin to an expeditionary force. Vice President Mike Pence points to “growing threats” in space from Russia, China, looking for a new war with other “adversaries” as though ISIS terrorists are already out there lurking in the asteroid belt. It’s a little ironic that since the U.S. retired its space shuttle fleet in 2011, rather than upgrade it to maintain U.S. leadership on the high frontier, we’ve been hitching a ride on Russian spacecraft to send our astronauts to work on the International Space Station. To promote that Pale Blue Dot vision of one world and one people as the human race expands our civilization outward into the solar system, Sagan co-founded the multi-national Planetary Society in 1980. This non-profit group has done more to unite countries in STEM education, space exploration and international scientific cooperation than most government institutions. Today, private companies like SpaceX are pioneering peace through commerce in low Earth orbit, and leading the way to Mars. How about we boldly go mining the asteroids? Perhaps we’ll develop new technologies that lead to cleaner, more efficient and sustainable energy sources, and discover ways to save the planet instead of destroying it. Since 1958, NASA “spin off” and space science has delivered many military applications; indeed if we want peace, we must remain vigilant and prepared for war. At the same time, space science also leads to new technology that touches every one of our lives and makes life better on earth every single day. Weather satellites save millions of people every year. NASA-developed materials like Kevlar and fire-retardant foam, bio-technology and artificial heats have saved tens of thousands of people all over the world. Space tech has given us GPS, Google Earth, climate change tracking and environmental science. Instead of sending a fighting force into space, lets send planet Earth’s best and bravest scientists, engineers, artists, teachers and explorers to inspire us to be better people. Let the Space Force be the new Peace Corps. Sylvia Dahlby is a self-described "dumb haole" from Kailua. She currently lives in Hilo. She thinks humans should colonize Mars and build an asteroid defense system before we get wiped out like the dinosaurs.